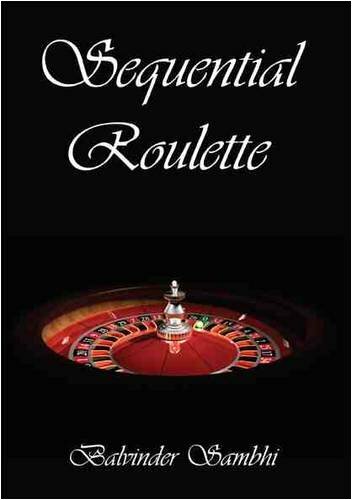 From the author ASK YOURSELF THREE SIMPLE QUESTIONS:- Have you made an overall profit at Roulette? Are you up in profit every month at Roulette? Do you consistently win every day or every visit at Roulette? I will give you the true answer - NO! Would you like to win consistently everyday at Roulette? - YES! All the knowledge you need to win consistently everyday at roulette. Yes I mean everyday! Expert advice from a professional gambler who plays Roulette everyday and wins! "NOT JUST LUCK!" I have designed a system that turns the odds into 131,072 to 1 in your favor. That's right 131,072 to 1 against the casino. The main reason gamblers don't win is that the odds are stacked against them. The odds are in the casino's favor, that's why any person rarely wins consistently. With my Roulette system, now you can turn the odds to 131,072 to 1 against the casino. This is why my Roulette system wins consistently on a daily basis! My unique insight and my personal Roulette knowledge contained in this book will turn you from an unlucky gambler into a professional winning roulette player. Learn the knowledge in this book and you will turn into an overall winner at roulette. I know, I did, SO CAN YOU!